An excellent result has been achieved in Brazil. 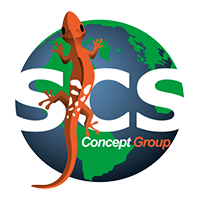 An important German automotive manufacturer chose SCS Concept products for its Brazilian plant. SCS Concept provided, through its Brazilian partner M. Shimizu, more than 30 Freedom3 wrenches, and SQnet+ software for Quality Control. Particularly appreciated was the ability of the wrenches in working remotely, synchronizing with SQnet+ thanks to the WLAN of the establishment. The new feature allows the Freedom3 wrench to do the upload of the route (list of checks to do on the assembly line) and the data transmission to the server, all wirelessly. In this way the operator doesn’t have to physically go to the PC unit for synchronization, but can work from any position of the plant. Some of the wrenches will be used in production, others in QC (quality control).